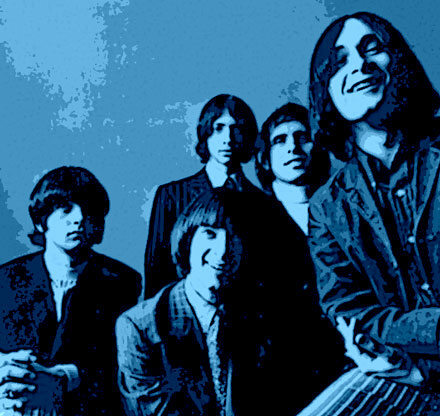 Like most of my friends, I was certainly aware of the Left Banke’s big hits, ‘Walk Away Renee’ and ‘Pretty Ballerina’ (both 1966) as they were fixture of oldies radio when we were growing up. It wasn’t until the mid-80s mod/garage days that we all tuned into their larger discography, every one of us marveling at the amazing sounds they made. Though most of their best stuff was finely crafted, somewhat delicately rendered baroque pop, the Left Banke, like pretty much every other rock group at the time, had some fuzz to get out of their system. This was demonstrated on their somewhat uncharacteristic, yet very groovy 1966 45 ‘Lazy Day’. 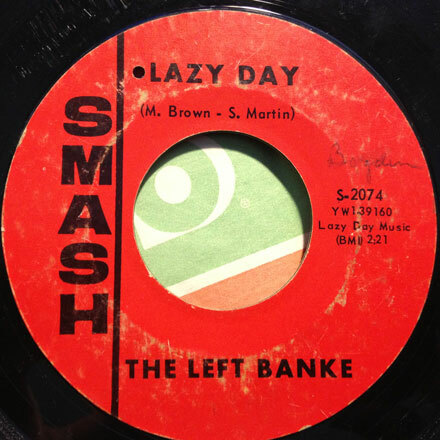 Written by Michael Brown and Steve Martin, ‘Lazy Day’ states it’s business – that being a fuzzed out Left Banke tune – in the first few seconds of the 45 where a tinkling piano is juxtaposed with a fuzzed out guitar. Though some folks might try to convince you that the only thing different about ‘Lazy Day’ is the fuzz guitar, I’d say that the overall delivery is much more rocked out and aggressive than pretty much anything else in the band’s catalog. ‘Lazy Day’ was met by broadcast indifference when it was released, but this isn’t at all surprising considering the fact that the audience was waiting for another ‘Pretty Ballerina’ (which was sitting on the other side of the 45, anyway…) and got themselves two and a half minutes of freak out instead. Their loss. I love it. I hope you do, too, and I’ll see you all next week. The record I bring you today is one of my favorite, mid-60s, Southern California (specifically East LA) 45s. 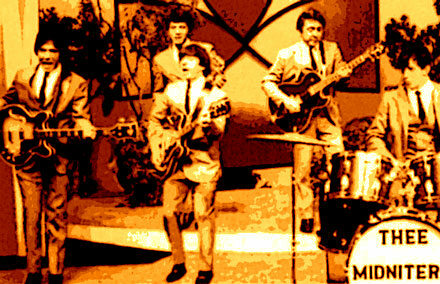 Thee Midniters were the preeminent Chicano band of the 1960s, laying down a grip of incredible 45s and a few LPs for the Chatahoochee and Whittier labels between 1965 and the early 70s. They were – like most of the best East LA bands – capable of playing R&B, rock, pop and even garage punk, and ‘Love Special Delivery’ is as fine an example of that fusion as they ever laid down. Oddly enough, I first heard this tune years ago when I saw a clip of Thee Midniters, set up on the California Angels dugout, miming to the song on an episode of Casey Kasem’s mid-60s dance party show Shebang. While I was already aware of the group’s earlier stuff, like their version of ‘Land of 1,000 Dances’ and ‘Whittier Boulevard’, ‘Love Special Delivery’ was a revelation. Here the group was mixing horn-driven soul, with garage fuzz and a wild vocal by Little Willie Garcia (dig those drums, too! ), all wrapped in a subtle, titular reference to everyone’s favorite psychedelic fuel. 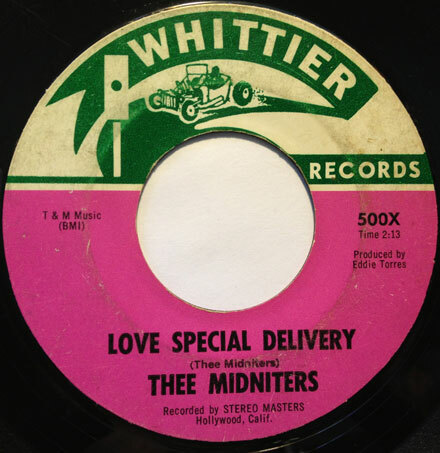 Though ‘Land of 1,000 Dances’ was Thee Midniters only national hit, ‘Love Special Delivery’ was a substantial local hit in LA. It was even covered – quite nicely indeed – on the very groovy ‘Fire Escape’ LP on GNP. Thee Midniters would go on to make what I consider to be one of the finest SoCal garage 45s, the mighty (and mighty rare) ‘Jump Jive and Harmonize’, which packs some of the most insanely overmodulated guitar and organ into the grooves of a 45. 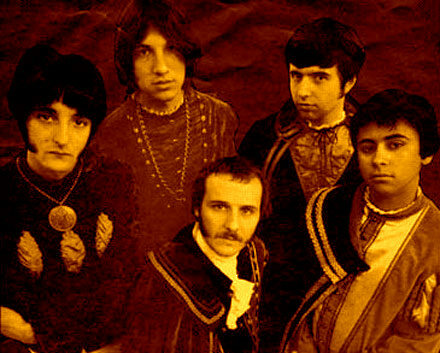 If you’re not already hip, you should do some research into the East LA sound of the 60s, which included some really incredible music. You can get pretty much everything Thee Midniters laid down in reissue form, including some nice 45 reissues from the good people at Norton Records. This week’s selection is one of those 45s that I meant to write about YEARS ago and for some reason (probably the tsunami of vinyl that surrounds me at at all times) got pushed off to the side. Fortunately I was strolling aimlessly through my crates and happened upon it, so here you go. HP Lovecraft – the band, not the master of the macabre – was a Chicago-based group that recorded three albums (the third, simply as ‘Lovecraft’) and a bunch of 45s for the Philips label between 1966 and 1970. Lead singer George Edwards had started out as a folkie, eventually working (and recording) for the storied Dunwich label (note their logo on the label of this 45). The tune I bring you today was the opening track on their first album and was released as a single in 1967. ‘Wayfaring Stranger’ is an American folk song with roots in the early 1800s. Before HP Lovecraft got their hands on it, the tune was a popular folk song, recorded many times by artists like Burl Ives. 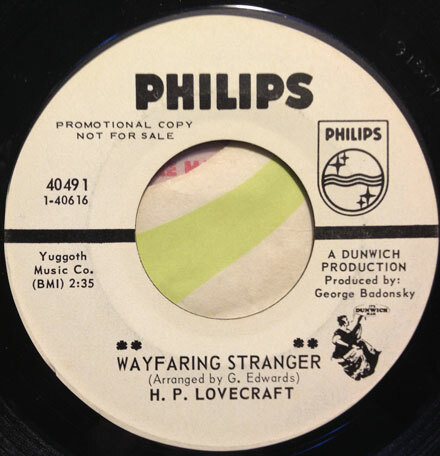 The HP Lovecraft version is driving folk rock, punched up with the addition of horns, and some swirling psychedelic organ. Though the band kept their folk rock core, they eventually got a lot more psyched out. There’s a cool live album out there, recorded in 1968 and first issued by Sundazed in 1991 that’s definitely worth your time.